Plz help me to identify any method or procedure to reduce my 4 year old boy sensitivity towards clapping unexpected sounds loud cheer. He quite often a try to either shut himself cry loud or try to runaway from the scene. He is regularly attending OT and she suggest the special sound therapy. What do you think about it and how it works. My 4 year old is nervous about loud cheer applause clapping and welcome. He is regularly attending OT and she suggest the sound therapy. Kindly tell me how it works and how I can help him to accept full fledge sounds of life. Thanks for your question! Sound-based therapies can be very effective at decreasing auditory hypersensitivities such as those your son is experiencing. It is important to ask your OT for information on the specific program that she is recommending, as there are several sound-based programs out there. All of them are set up a little differently but the goal is to mature or refine the auditory system in order to better process the appropriate sounds at the appropriate level. In the meantime, it may be helpful to offer your child noise-cancelling headphones or ear plugs when in locations that expose him to upsetting levels of noise. Whenever possible, prep him by discussing what he should expect and options for what he can do if the noise becomes too much. Hope this helps! My son is struggling in college due to being oversensitive to noises both in the classroom and especially in the apartment complex where he lives. He is unable to sleep at night due to the noise of his roommates and neighbors. This has him extremely agitated and depressed. I have always wondered if he might have an auditory sensitivity. What is the first step toward diagnosis. He saw a counselor as a child, and we mentioned his auditory sensitivities, but she did not recommend testing of any kind. He lives in Emporia, Kansas. I am a Speech Therapist working in Ireland, I have had a recent query from a client whose son I am treating. Her query was in relation to his older daughter who is 20 years old. She has a diagnosis of autism & epilepsy. She had developed extreme noise sensitivity which is impacting tremendously upon her daily functioning. She has physical pain in relation to certain noise e.g. sirens, babies crying, cars beeping. Is there any specific recommendations you could make? Her mother is thinking of the Listening program. Have you any knowledge of this specific program. I would be grateful for any advice in relation to this matter? Hi Frances, thank you for your question. I’m sorry to hear that she is in pain from those situations. Although I do not have experience with the Listening Program specifically, I do think that this program or a similar one such as Therapeutic Listening from Vital Links could be very beneficial for her. I do recommend that the family be sure to find a provider who has completed formal training through the program that they are using. Given her diagnoses, it is very important that the provider is choosing the most appropriate course of treatment and closely monitoring her responses. Although these programs are considered safe for those with most seizure disorders, it should not be used with those who have sound-induced seizures. I hope you find this information helpful and I wish the best of luck to your client’s family! My child makes sounds constantly, which can be distracting and disturbing to others around him. How do we attend to this sensory need? He most often does this when tired, or when he is watching visually stimulating sometimes repetitive motion. Thank you for your question! We all use different types of sensory input to help us maintain an organized state or attend to the task at hand. A common example of this with adults is fidgeting with your pen or doodling on paper during a long meeting. Your body needs input, but you know that you shouldn’t disrupt others so you choose something minimally distracting. This is your ability to self-regulate. Children often need much more input than adults and may need help choosing the most appropriate behaviors. When a child is over-responsive to sound or has difficulty filtering auditory input, they may produce their own noises in order to block out what is disorganizing to them. Your child could also be using this method to adjust his arousal level when he is tired and when he is over-stimulated visually. An occupational therapist may address this with two goals in mind. One is to target his sensory processing abilities so that he is better able to process input from his environment. The other is to help him recognize his body’s needs and appropriate strategies to address them. From what you’ve mentioned, I think it is worth doing an OT evaluation to assess your child’s specific needs and the most appropriate strategies. I hope you’ve found this helpful! I’ve noticed that my otherwise cheerful, outgoing 7 y/o daughter panics in noisy situations and will walk around with her hands over her ears. Our recent trip to Disney World really highlighted how bad the problem is. She was miserable and anxious the entire time and walked through the parks with her hands over her ears anticipating any sudden loud noise. She does have an ADHD diagnosis, and I have mentioned SPD to the clinician who diagnosed her AND her pediatrician and they both brushed me off. People are going to begin to make fun of her, but more importantly she is miserable. Your thoughts? Hi Anna, I’m sorry to hear how miserable these situations are making your daughter. From what you’ve mentioned, it does sound like she is overwhelmed in these situations due to auditory sensitivities. While it’s unfortunate that you’ve felt as though your concerns have been brushed off, your daughter is certainly lucky to have you advocating for her needs. I absolutely think that it would be worth seeking an occupational therapy evaluation. Occupational therapists specialize in identifying and targeting skills and abilities that impact a person’s activities of daily living. If your daughter is unable to functionally engage when there is added noise in her environment, an OT can target her auditory processing abilities as well as help her develop strategies to handle those situations. Additionally, you mentioned that your daughter has an ADHD diagnosis. 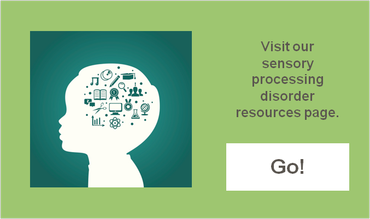 It is not uncommon for those with ADHD to exhibit sensory processing differences. OTs can also address difficulties with attention and executive functioning skills, which are also common with this diagnosis. I hope this has helped and that you’re able to get even more insight after meeting with an OT! My name is Alexis Weber, and I’m 16. I have been wondering if something is wrong with my hearing. I get scared at very small sounds, like fire crackling, vaccums, hair dryers, etc. Ever since I was little as well I have a history of avoiding going to the bathroom because the flushing scares me(especially when it’s automatic). I am currently being treated for Depression, Panic Disorder, and Severe Anxiety. I don’t know if my reactions to sounds is because of Anxiety, or if my Anxiety/ Panic Attacks are caused by my sensitivity to sounds. I have brought it up to my doctor once, but I’m scared to bring it up again in case she thinks I’m being dramatic. Can you help me? Hi, Alexis. I’m sorry to hear about your history with everyday noises causing you fear and anxiety. I think it’s great that you are being proactive with the issue. Many of the sounds that you described are common examples of frequencies that may be more difficult to process for those with auditory hypersensitivities. It is also not uncommon for those with auditory hypersensitivities to experience anxiety when they are frequently surrounded by noises that are uncomfortable to process. Please don’t think that you are being dramatic to recognize the connection. If your doctor is unable to help you identify resources in your area, I would recommend checking out the STAR Institute’s website (spdstar.org) as they have lists of books, blogs, websites, and recommended professionals in your area. Another suggestion would be to look into the Masgutova Method (MNRI). This is a program that aims, in part, to address the concerns you mentioned. I hope that you find this information helpful and are able to find the appropriate resources for you! Hi my 20 month old former 2lb 29 week twin boy had a very difficult beginning with months on life support. His ENT noted his ear tubes are extremely small and narrow. His hearing is fine yet he does not respond to his name at all. He only has 2 words. He loves to watch Mickey and play with cause and effect toys along with puzzles . He is very affectionate and social. A picky eater and loves the water just not on his face. OT thinks he has a APD along with sensory processing.